A biennial Dianthus, therefore sow in late summer/autumn for blooms in the following spring/summer. 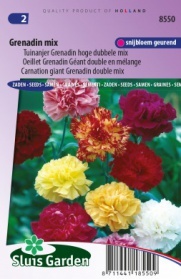 An exceptionally richly blooming and wonderfully fragrant Carnation, and very popular as cut flower. Ideal for in beds, borders and groups.